Day three of the Feis is always a highlight. 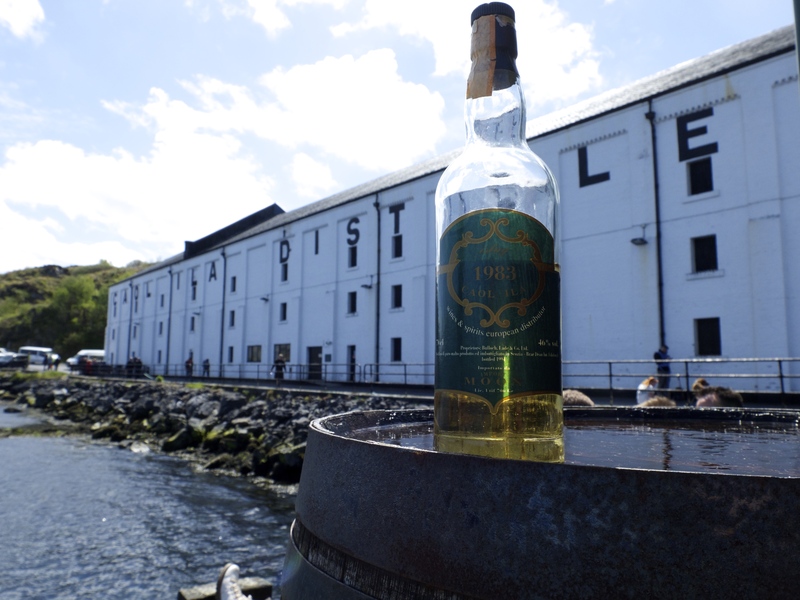 Caol Ila is the destination of choice and this year they put on a fabulous show – and even managed to steal the sun from Bruichladdich. We arrived at the sea front mid-morning and reacquainted ourselves with old friends; David, the manager and some of the tour guides at the distillery. We also bumped into the legendary Colin Dunn who was on fine form and looked after us well throughout the day. 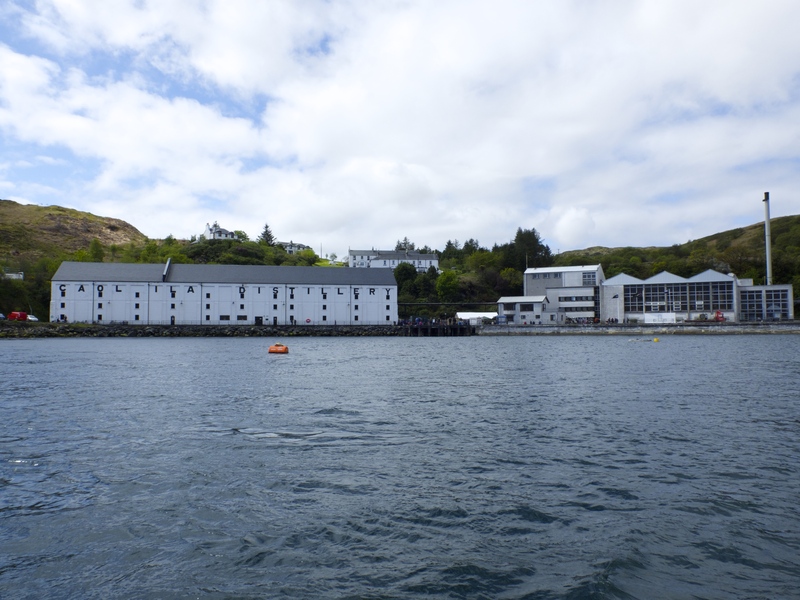 Our first appointment was with Ramsey, the manager at Port Ellen Maltings, on a RIB that departed from Port Askaig. This was a fabulous trip. It was wonderful to see Caol Ila from the sea and to appreciate the geography in which it lies as well as having the opportunity to speed up and down the ‘Sound of Islay’ after which Caol Ila is named. Now no Feis Ile trip would be complete without a couple of whiskies; we started with the lighter Caol Ila Moch – a real ‘breakfast’ whisky that tasted delightful as the first dram of the day, before we moved onto this years Feis Ile release. It is a 1998 Caol Ila bottled at cask strength (57.3%) following a triple maturation in American Oak, Moscatel wood and old sherry puncheons. While I loved the initial delivery of the whisky, the finish was just a bit overly winey for my palate so later in the day I bought the 2014 Feis release that was still in the shop. This release was fully matured in American Oak and is a fabulous example of just how good Caol Ila can be. Palate: Thick and creamy with a lot of heat. The salt comes through again mixed in with sherbets and extra strong mints. Not as smokey as the nose suggested, but the dry peat does make a late appearance. What an experience it would be to drink this spirit on the end of the pier at Caol Ila in a storm! It was then time to get the game face on as I tool part in Caol Ila’s inaugural Malt Mastermind competition to win a bottle of the 2015 Feis Ile bottle. 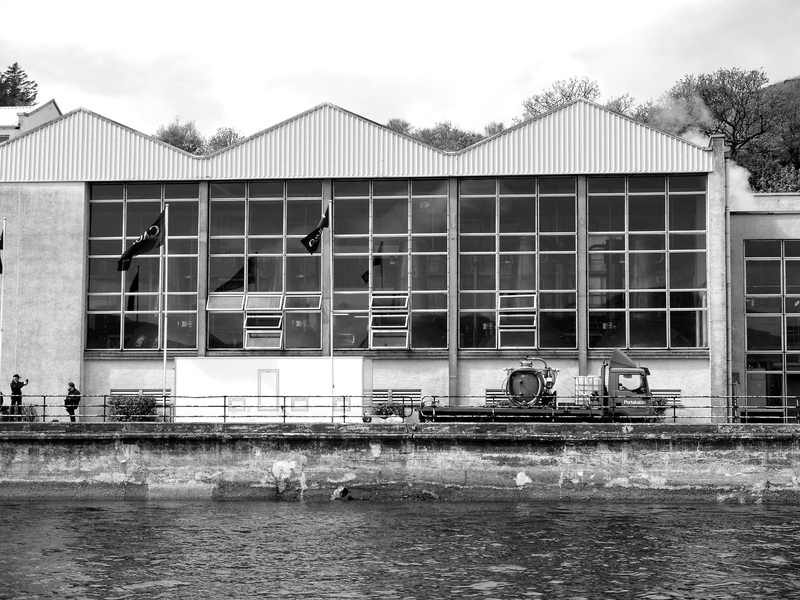 The event was hosted by Colin and was a great way to round off the day at the distillery. The quiz was light hearted, a lot of fun and the banter between contestants was in keeping with the friendly nature of the festival. Sadly I didn’t win but managed a respectable third place (out of four!!). As an added bonus there was some whisky on offer too (it is Islay) and we were treated to the glorious Caol Ila 30 year old – one of the highlights from last years Special Releases. Monday night on the island is always spent in Port Ellen at Ramsey Hall. The Feis committee put on a great show with bag pipes, singing, highland dancing and a ceilidh and we never miss it. Before that though is the serious matter of the nosing competition. It’s simple really (!) as all is required is to nose the malts of Islay and Jura and match them to the distillery, and then identify two new make spirits. Boyed by a third place some years ago I entered enthusiastically and came nowhere. It was a real treat though that a good friend only went and won it – many congratulations again to Billy (aka Cowfish) for a stellar performance that saw him identify nine out of nine distilleries correctly – a remarkable effort and it couldn’t have happened to a nicer guy. We arrived home late and there was just time for one more dram, before contemplating our early start the next day that would see us in Lagavulin warehouse before lunch! Caol Ila had put on a great show, and between friends we agreed it was a real highlight of the week.